SEE THE INVISIBLE. 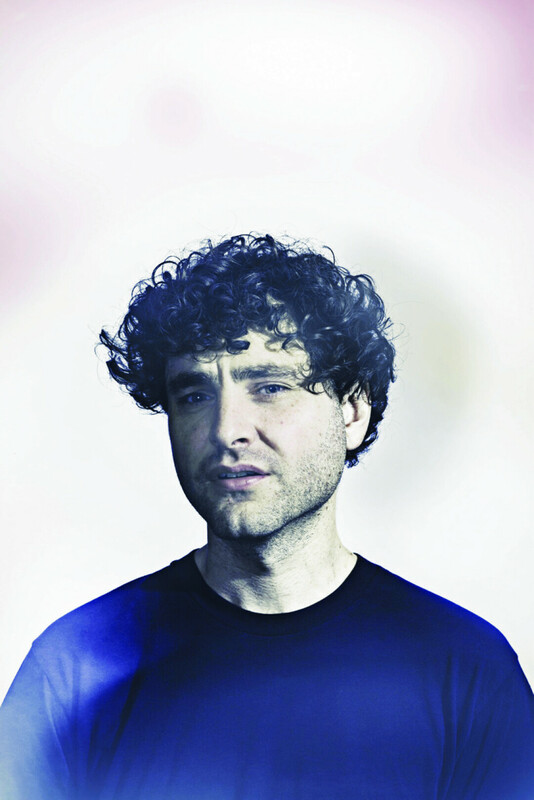 Invisible Boy is a project fronted by Chris Bierden (above), bassist for Polica. During Prex Claires, he’ll perform alongside Alpha Consumer and a crazy awesome special list of guest DJs at The Plus. This year, in the shadow of Eaux Claires comes a collaborative effort between Downtown Eau Claire Inc. and Blugold Radio 99.9FM which hopes to shine a collective light on all of the pre-fest events happening on June 15, the night before the big fest, when you can catch local music at different venues across downtown Eau Claire. It’s called Prex Claires, and the full slate of events is ready for your perusal. You’ve got OXBEAUX, of course, the sold-out official pre-Eaux Claires concert/block party at The Oxbow Hotel and The Lakely featuring The Shouting Matches, Field Report, Dem Yuut, and Idle Empress. And of course, we’ll have a special night of Volume One’s own Sounds Like Summer Concert Series in Phoenix Park that night, too. There’s a show at The Plus with Boy Kisses Comedy and Sniffle Party, followed by an OXBEAUX after party with Alpha Consumer (who played Eaux Claires last year) and Invisible Boy, plus special guest DJs. Pat Keen is releasing his debut LP with a show at The Mousetrap that night alongside Sloslylove and Idle Empress. And there will be tons of other shows going on around downtown, and Prex Claires hopes to pull them all together under one big umbrella in an effort to get as many people enjoying themselves downtown as possible. In a recent Reddit AMA, Eaux Claires creative director Michael Brown said it’s a major goal of the festival to have it spread out in the days before: “Our dream is for all of downtown Eau Claire to engage with the festival and start booking shows on Thursday night. Even Wednesday night!” So Prex Claires has you covered, and it’ll be really interesting to see how this collection of events grows from year to year. The Plus (late show) • 208 S. Barstow St. • 10pm • $15 • All Ages • Alpha Consumer + Invisible Boy + special guest DJs.